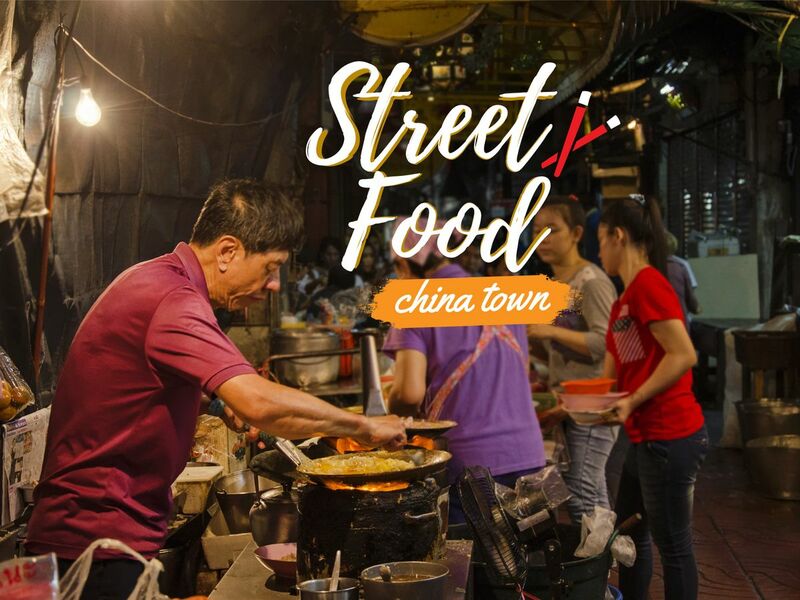 Awesome experience trying variety of Thai-Chinese inspired street food in China Town! (Vegetarian is available). Walk to our dinner destinations. I'll take you to each restaurant/ food stall that can't be missed out when you are in Chinatown. When you finally get to be in Bangkok and want to taste different yummy dishes, but you have no idea where to. This trip will be just a perfect trip for you. Definitely! I will take you to one of the most famous places to grab all the deliciousness in town, which will be in China town. Do a street food-hopping and chill out by Chao Phra Ya riverside. Pinky was our tour guide, overall it's a good tour. Maybe because our tour group was really small (only 2 people), or there's something wrong with Pinky's phone that kept her distracted. We tried 5 places, Pinky was thoughtful of the selection, though nothing surprising. Compare to my previous experience with AirBnB Bangkok food tour, for the price I think there's more to be desired. A very pleasant and interesting experience. I certainly would not have dared trying all this food by myself, and on top, the guide was lovely.